Dr. Gary Richter, 47, a veterinarian of 20 years, is the owner and medical director of both Montclair Veterinary Hospital and Holistic Veterinary Care of Oakland. Richter has been outspoken on the topic of cannabis for pets, researching its uses for the past three years. Richter is part of a movement among vets to change the regulations so that vets can oversee medical cannabis for animals. The movement was started largely by Dr. Doug Kramer, a Los Angeles vet who paved the way for the topic before he died in 2013. 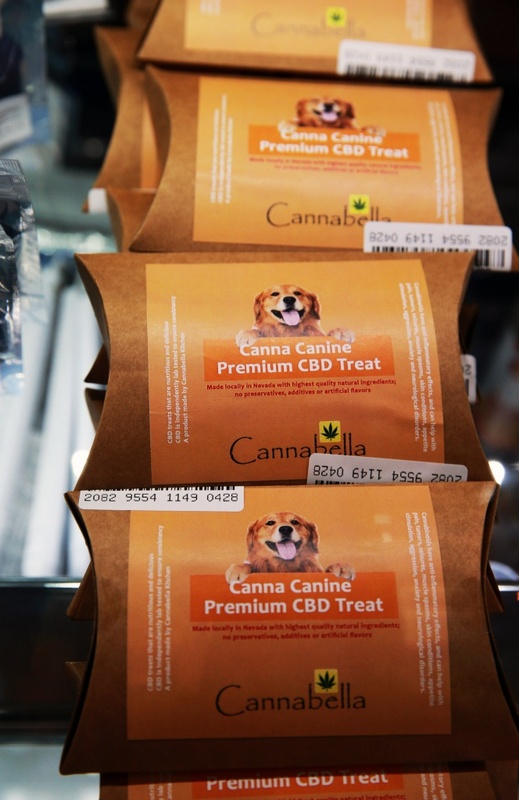 But Richter warns that while CBD is medically beneficial, THC, the chemical compound in cannabis responsible for the “high” effect, can be dangerous to animals. THC overdoses in dogs in particular lead may to medical complications and, in extreme cases, death. He believes cannabis should be given to pets only as a medicine, based on a veterinarian’s professional analysis and dosages to prevent complications. She first grew interested in pot for pets after her dog reacted badly to a pharmaceutical anxiety medication her vet at the time recommended. Cannabis supplements did wonders, she said, without the side effects of the drug. Unlike in California, the Colorado Veterinary Medical Association (CVMA) recognizes “the potential benefits of marijuana therapies,” so Colorado allows its vets to offer cannabis advice. After Colorado legalized marijuana in 2012, Silver observed animals undergoing cannabinoid therapies and recovering from conditions that had been hard to treat with either conventional or other integrative medicine approaches.